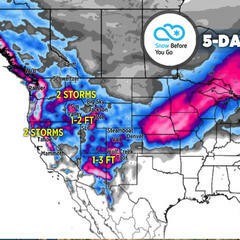 What's the weather this week? 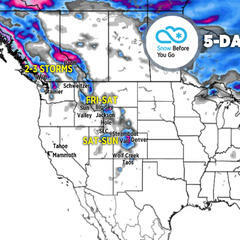 Meteorologist Chris Tomer has your mountain forecast, including which ski resorts will get the most snow and when the flakes will fly. 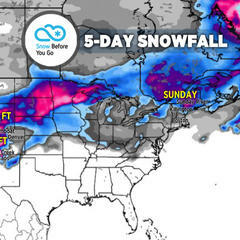 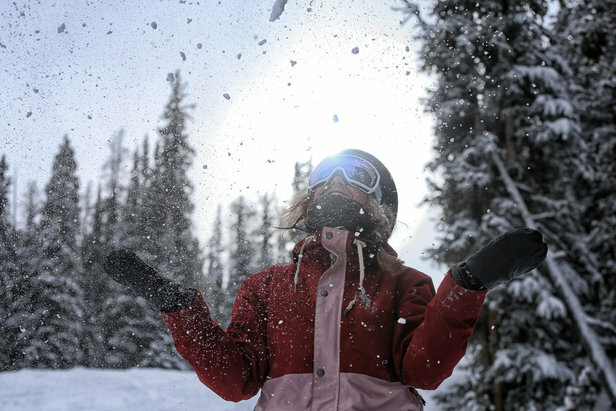 Read on for where to ski powder this weekend! 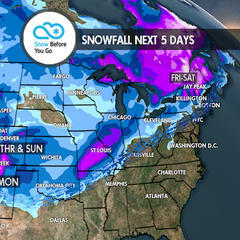 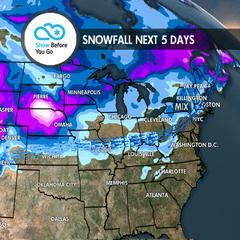 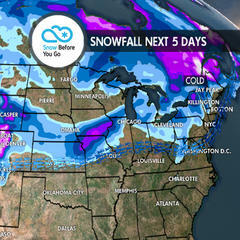 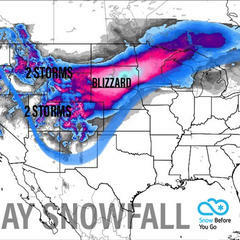 Heavy snow continues on Thursday with on and off snow Friday for parts of the West. 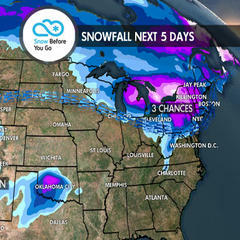 In the Northeast, it looks colder with a couple chances for snow showers. 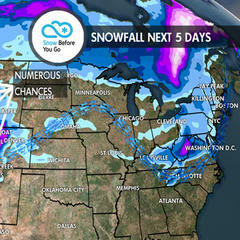 The storm track has shifted back towards the Pacific Northwest and could bring 3-6 feet of snow for some areas. 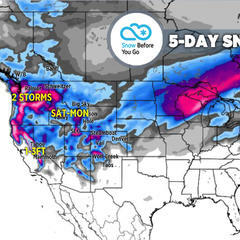 Southern third of the country to receive heavy precipitation, plus series of storm systems to hit the Pacific Northwest late in the weekend. 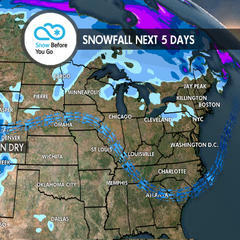 The U.S. weather pattern remains active for the West, including California. 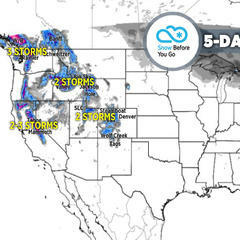 There are two to three different storm systems lined up over the next five days. 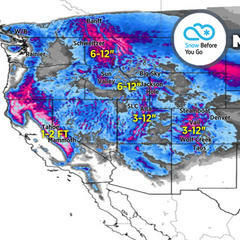 The U.S. weather pattern is moving to a very active jet stream that now favors areas devoid of snow just a week ago, including California and Utah. 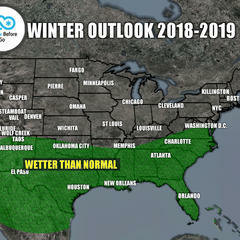 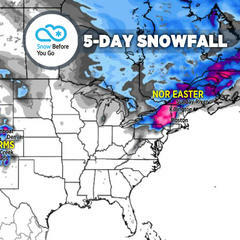 The U.S. weather pattern mirrors last week with another large storm system for the Northeast and moderate snow out West. 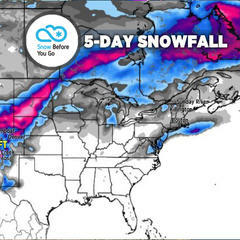 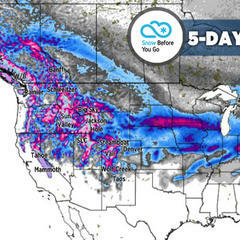 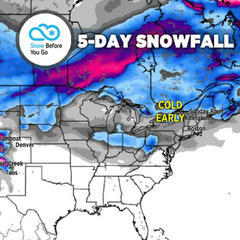 Turn to OnTheSnow for weather forecasts and ski reports from one of the industry's most trusted meteorologists. 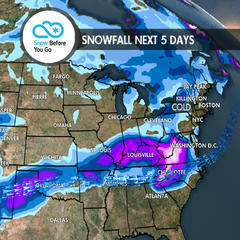 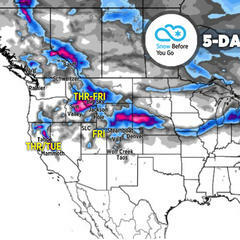 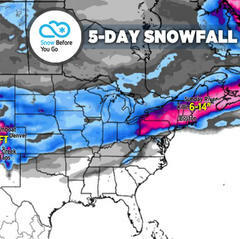 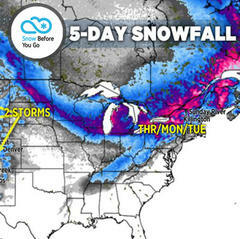 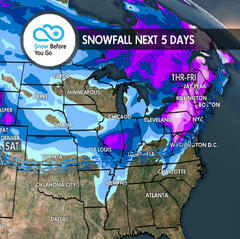 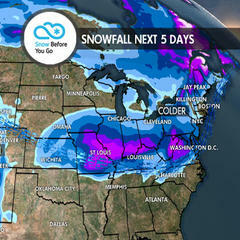 The next five days are a bit of a mix for ski resorts in North America. 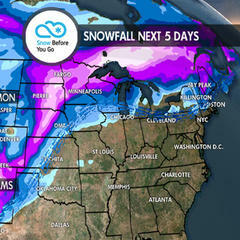 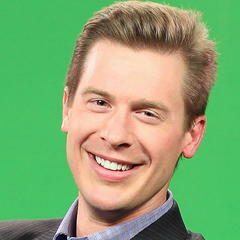 Meteorologist Chris Tomer reveals where the skiing will be best throughout the weekend.